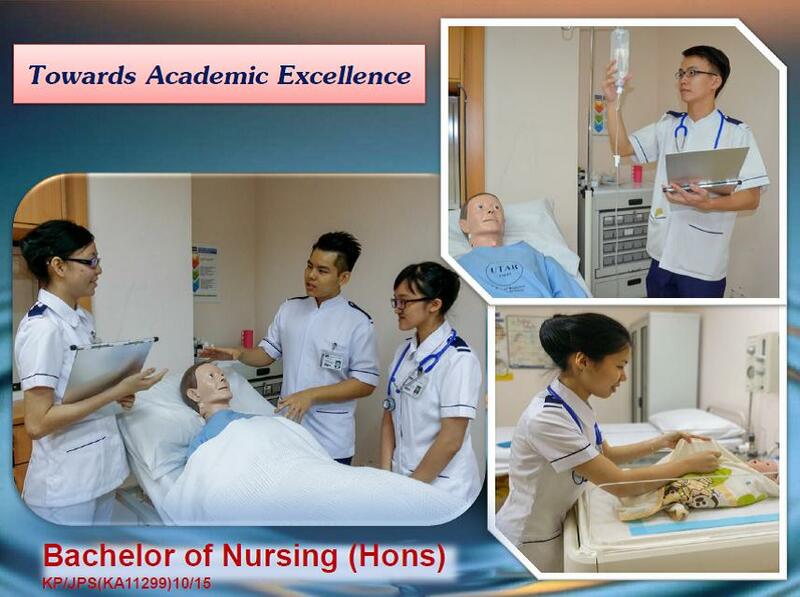 UTAR Bachelor of Nursing (Hons) degree programme aims to equip students with a strong foundation in the principles, theories and practices of modern nursing. This programme provides tertiary education that creates graduates who are strongly knowledge-based with the ability to think critically, perform competently in relevant skills, adapt and innovate to challenges and opportunities in the nursing profession. Upon successful completion of programme, graduates would be registered with the Malaysian Nursing Board. 1. Equip graduates with knowledge and requisite clinical skills to function as a competent state registered nurse. 2. Train graduates with effective communication skills, social responsibilities, leadership qualities and teamwork. 3. Produce graduates who can critically think and solve problems ethically through sustainable approach. 4. Equip graduates with entrepreneurship knowledge and instill life-long learning for successful professional development. Relate knowledge of basic sciences and nursing fundamental to nursing practice. Identify, formulate and provide effective nursing care using evidence based practice. Communicate effectively with clients, other professionals and community. Demonstrate commitment to teamwork and social responsibilities. Demonstrate professionalism, ethics and humanity in line with the nurse’s code of conduct. Recognize the need for and to engage in life-long learning and professional development. Self-motivate and enhance entrepreneurship skills for career development. Recognise and demonstrate effective leadership responsibility.